A fisherman was killed by a shark November 15 off the coast of Rio Grande do Sul, Brazil. Linaldo Gaudino de Brito was attempting to pull the shark off a fishing line or net around 10 a.m. when he was bitten on the calf. The 32-year-old was aboard the German Pescados, an industrial fishing vessel located about 205 miles (330km) away from the coast of Rio Grande do Sul when the incident occurred. Crewmates attempted to stop the man’s bleeding and contacted the Brazilian Navy by radio. Unfortunately, Navy rescue helicopters had mechanical issues in Rio Grande. The Brazilian Air Force was contacted, and an H-60 helicopter was dispatched around 4 p.m. from the Santa Maria Air Force Base near Pelotas. Once the ship was located, rescue personal boarded the ship and found Mr. de Brito had passed away. The fisherman’s body was left on vessel during its return to its origin city of Itajaí in the Brazilian state of Santa Catarina. 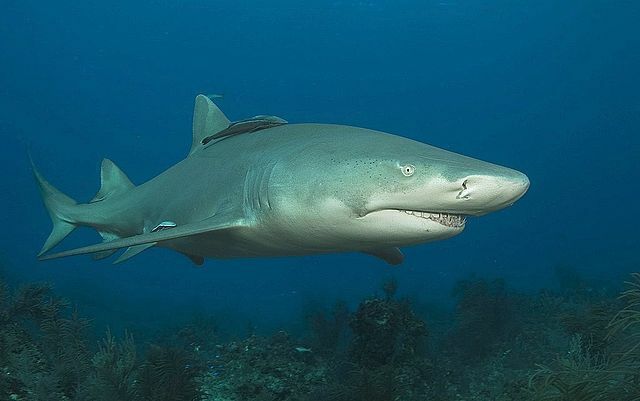 In March of this year a 41-year-old man was bitten by a sand tiger shark when he jumped in the water off Estalerio Beach. There have been a total of 93 shark attack bites in 2016, eight of which were fatal; 43 were reported in the US, with 30 occurring in Florida. Nineteen have occurred in Australia, three of which were fatal.